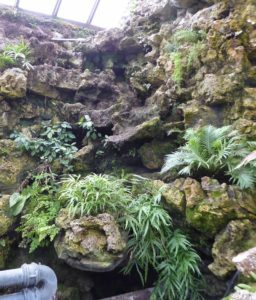 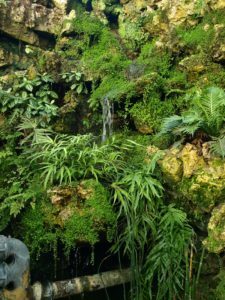 Water was an important part of the Victorian fernery, with rather more pools than there are today. 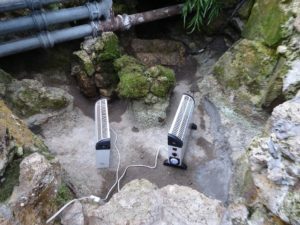 Recently there have been problems with the pipework, so that the central fountain did not work very well, and the cascade above the wishing well didn’t work at all. 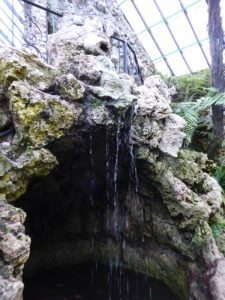 The pool by the central cascade was leaking, so it only retained a small volume of water. 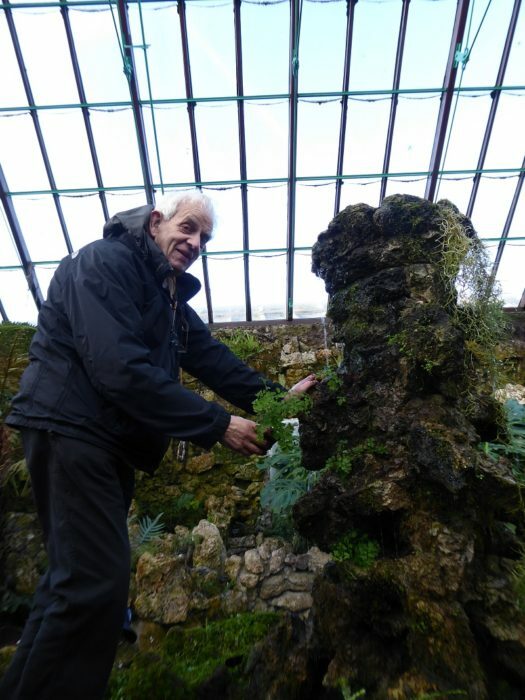 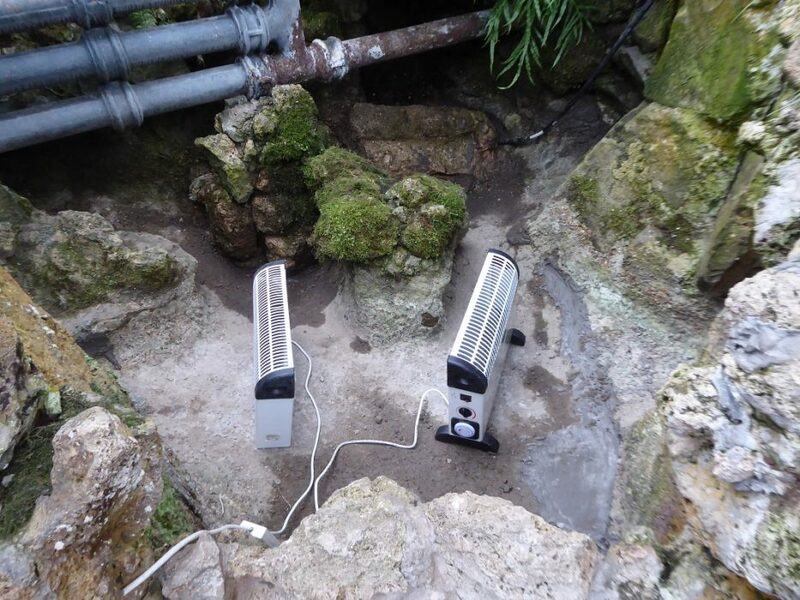 Maurice Ashton, with help from Gary Mawdsley, (both volunteers at the fernery), have replaced the old leaking pipes, installed new pumps, and today mended the holes in the bottom of the pool. Looking forward to seeing the pool refilled and the central cascade working again. Gary has cleared the weeds from the cascade, so now we need suitable ferns to put in there. 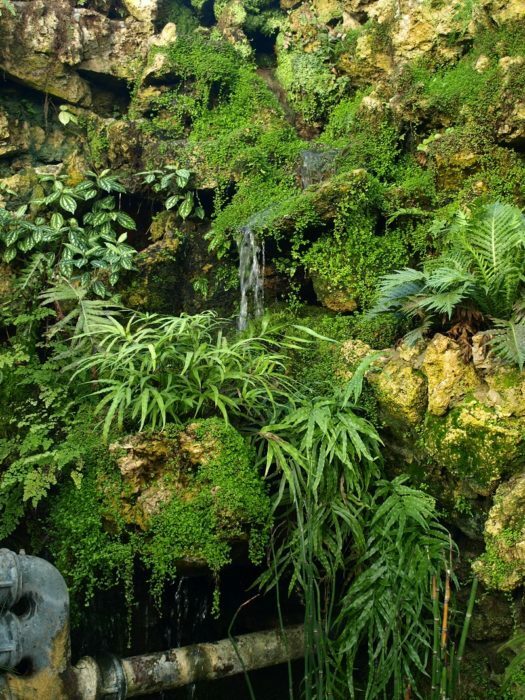 The central fountain has been mostly cleared of moss and ‘baby tears’. 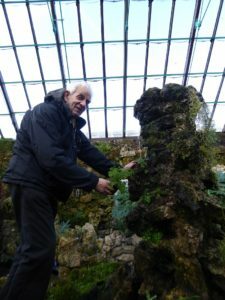 Peter Blake donated Spanish moss, and Michael Hayward has started planting up with Adiantum raddianum that he has been growing.